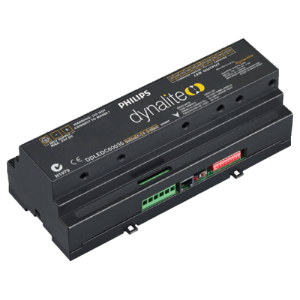 The DDLEDC605-GL is an advanced PWM Constant Voltage LED Controller. The DDLEDC605-GL is designed to control LED loads in decorative architectural lighting applications where creative color mixing and sequencing is required. The controller provides six pulse width modulated common anode voltage mode outputs suitable for directly driving high intensity LED sources. 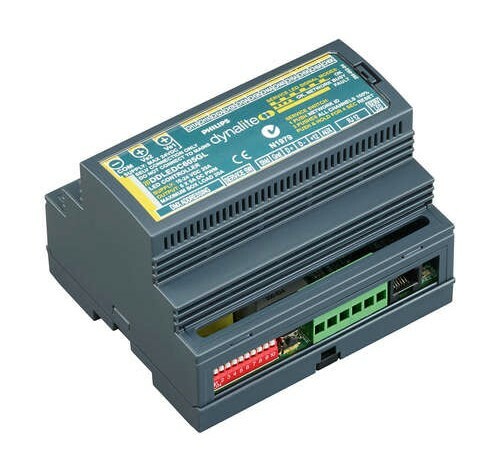 The controller is designed for connection to an external DC power supply enabling the unit to deliver a range of nominal output voltages. The device is supplied with a DIN-rail mountable housing, designed for installation within a switchboard or suitable electrical enclosure. The DDLEDC605-GL is DMX512 compatible and is suitable for the high chase speeds commonly found in display lighting. 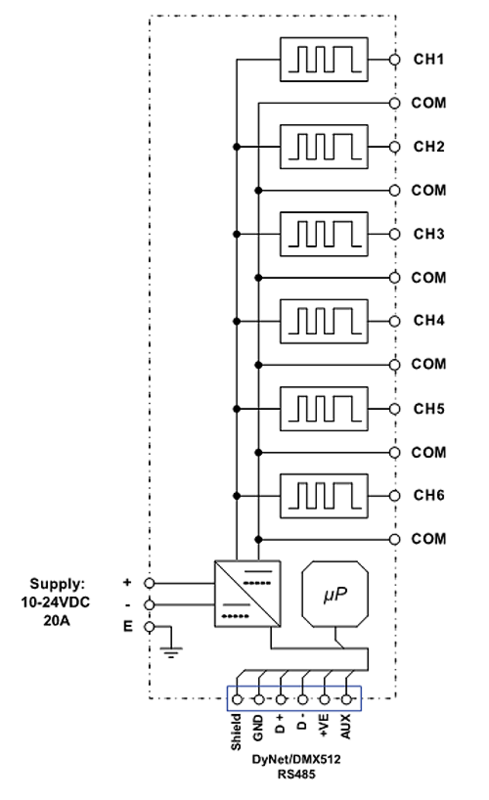 Electrical Supply External 20A regulated power supply – Controller supply voltage range is 10-24VDC.